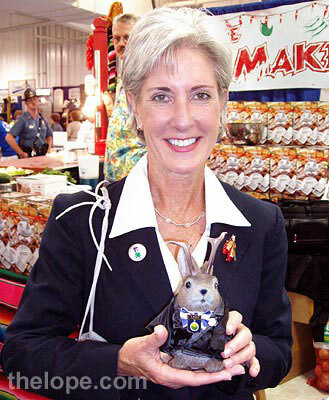 Ace met Kansas Governor Kathleen Sebelius at the 2006 Kansas State Fair. The democrat is up for re-election today and is the likely winner, partially because of all of her moderate republican support. See; sometimes both sides can agree on something. Update: She won a decisive victory. 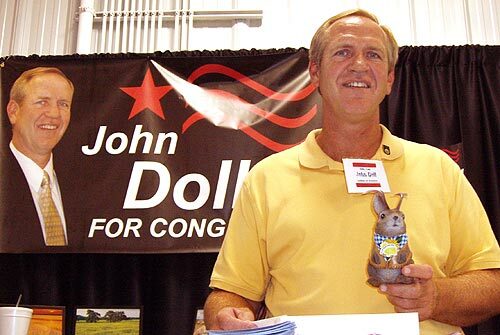 John Doll of Garden City, KS, is running for congress in the 1st District. He may have a harder time of it, but we think any man who "gets" this website deserves a chance to serve the public. Update: He did not win, but ran a good campaign. Kansas State Representative Jan Pauls of Hutchinson ran unopposed. She was instrumental is saving Ye Old Mill at the Kansas State Fair. Update: She won, of course. Now go out there and do what so much of the world envies. Vote for the candidate of your choice. It'll feel good, and you'll have the right to gloat or gripe until the next one. They'll probably even give you a cool little sticker to show co-workers who haven't voted yet, so you can be the superior citizen, and you know you like that. 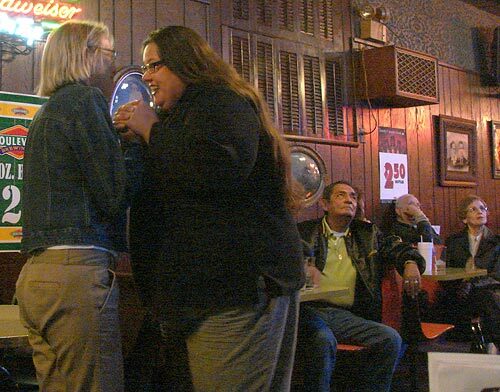 Update: Democrats Trish Rose (left) and Patsy Terrell celebrate a state democratic victory at a Hutchinson, KS pub Tuesday night while other patrons watch election results on TV. 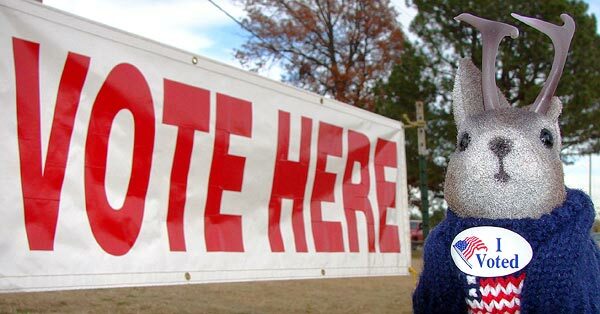 In order to vote in the U.S., you have to be an American citizen. Was Ace born in the U.S.A. or is he a naturalized Lope? He's in favor of good food and fine women. Will we learn more of his stances on other issues?